Oh gosh, where do I start on this one…. 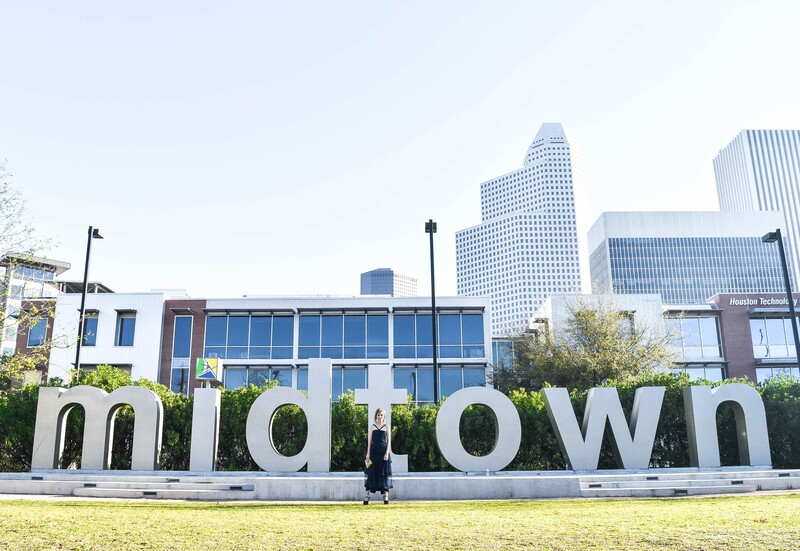 Well, for starters, I’ve always wanted to shoot at the famous MIDTOWN sign in Bagby Park near Downtown Houston. Now that I have my perfect photographer, I had to figure out what to wear for the shoot. After days of wracking my brain, deciding what to wear; it hit it me the night before the shoot. 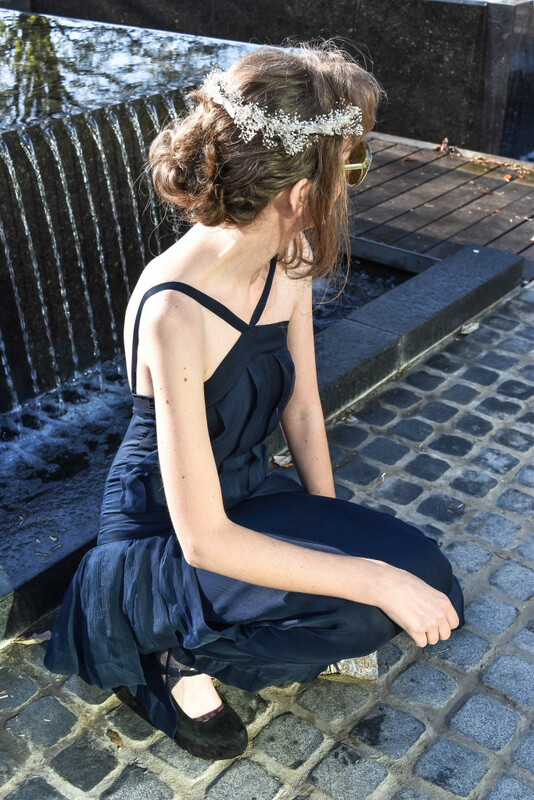 I had saved up and purchased my FIRST vintage Chanel dress from Cheeky Vintage. I can’t find much about the dress, only that it was made in the 1980’s when Karl Lagerfeld had taken over as designer. I love how it has a 1920s silhouette and tiered skirt. I paired it with a vintage fan-shaped evening clutch I had found at a community garage sale last year and my favorite (and highest) black heels- my H by Halston for Bakers heels. When my friend Elyse, who owns Bark & Beam, let me borrow a crystal Grecian wreath for my LA trip, I knew I had found the right headpiece for this look I was going for. You see, Elyse’s super-bohemian crowns have been on my radar ever since I caught a glimpse of them during a Kaleidoscope Houston meeting. As it turns out, Elyse started the company with her brother as an outlet for them to sell things they like to make (Her: floral crowns, macrame and refurbished furniture. Him: metal work). What started out as a fun hobby, making crowns for her Renaissance costumes, turned out to be a pretty genius business idea. She eventually teamed up with Em of Of Myth and Muse and created custom designs for her spring line. Those designs, along with other pieces (including new designs with succulents), are available on her Etsy.